Aviation of Japan 日本の航空史: Cyber Hobby (Dragon) 1/72 Aichi D3A1 "Val"
Cyber Hobby (Dragon) 1/72 Aichi D3A1 "Val"
This one has kind of snuck up and surprised but is out now - slightly late for the Pearl Harbor anniversary. HLJ are retailing it for around the £17 mark but goodness knows what it will sell for if and when stocks reach the UK. There are only two previous contenders - the "old Airfix" (just re-issued for £7.49) and the delicately detailed Fujimi, produced in two versions which meant a breakdown of parts contributing to fit complications but still available for just under £5! The three together should make for an interesting comparison. 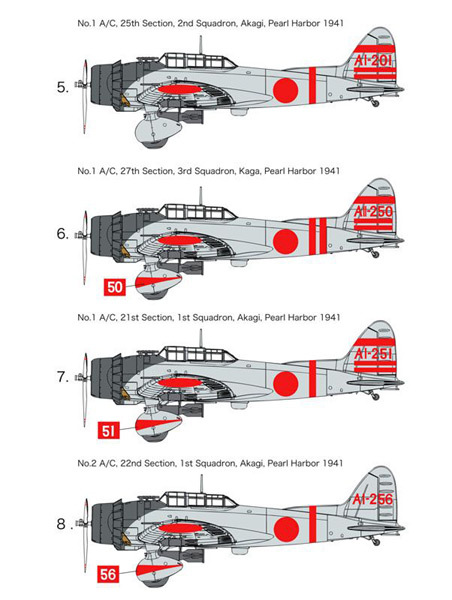 Decals are included for eight markings options (shown below) but it appears Cyber Hobby have settled on the traditional light grey for the airframe colour. 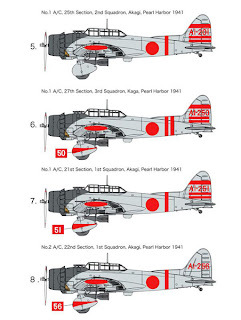 For Val's Pearl Harbor carrier mate Kate the "old Hasegawa" (ex-Mania) kit rumbles on unchallenged - if you can find one. "Curiouser and curiouser!" cried Alice. 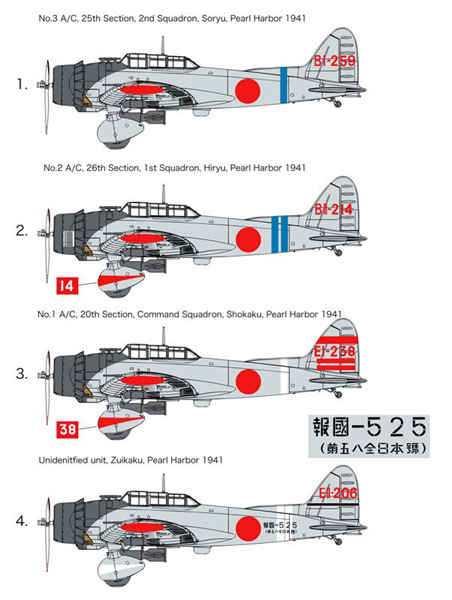 Let's hope Airfix or Revell have plans to do one before Cyber Hobby or one of the East European short-run crowd. 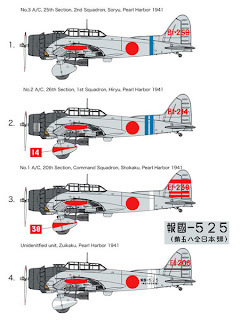 For the A6M2 Zero fighter escorts in this scale there is now a choice of Fine Molds (superlative, expensive and appears to be unavailable), Hasegawa (honest but hard to find) and Airfix (easily available, cheap but suspiciously fat in plan view). Nick, one of the "usual suspects" on a certain BIG forum has posted a bit of a swipe at Dragon for their choice of airframe color for all schemes offered. What say you to the "traditional light grey" shown for all of these a/c? Trainer orange/yellow? I'm not sure why you might think I would suggest painting a "Val" that colour bearing in mind the direction of this blog but please see Eric Burgerad's model for a fine impression of the real colour. Just a feeble attempt at humor, that; in light of recent discussions here and elsewhere. I was just on the point of commenting, on the above post, that I like the color Eric has achieved VERY much. Please do! 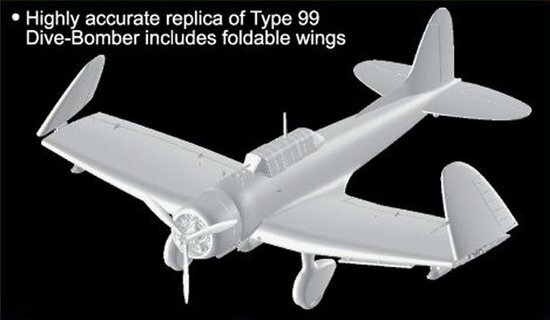 It is always nice for people that have shared images of their models to see comments about them. I was pleased to be able to provide Eric with a little information on the subject. 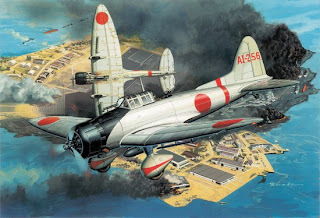 Eric Bergerud's 1/48th Hasegawa Aichi D3A1 "Val"
Aoshima Mitsubishi A7M2 Reppu "Sam"